Storage Bags There are 13 products. 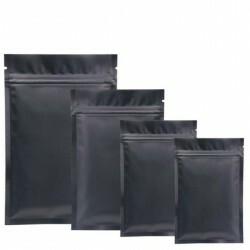 Metallic zip lock bags. Material: aluminium foil. Grade A food material. Thickness: 3mm. Quantity: 100 Please select a size. Zip lock bags with clear window. 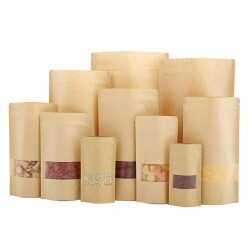 Material: kraft paper. Capacity: 100ml. Quantity: 50 Please select a size. 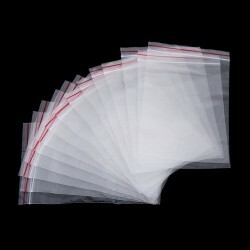 Matt foil ziplock bags. Material: aluminum foil, BOPP, PE Thickness: 180micron (double face). Resealable zip lock options, easy to open and close. Oxygen resistance, grease/moisture proof, high barrier, food grade. High quality sealbags. Aluminium foil type. Good for food. Can be used to free food. Seal with a vacuum sealer. 100 pcs.Size:Small: 6 * 8cm. Medium: 7*10cm. Large: 8*12cm.